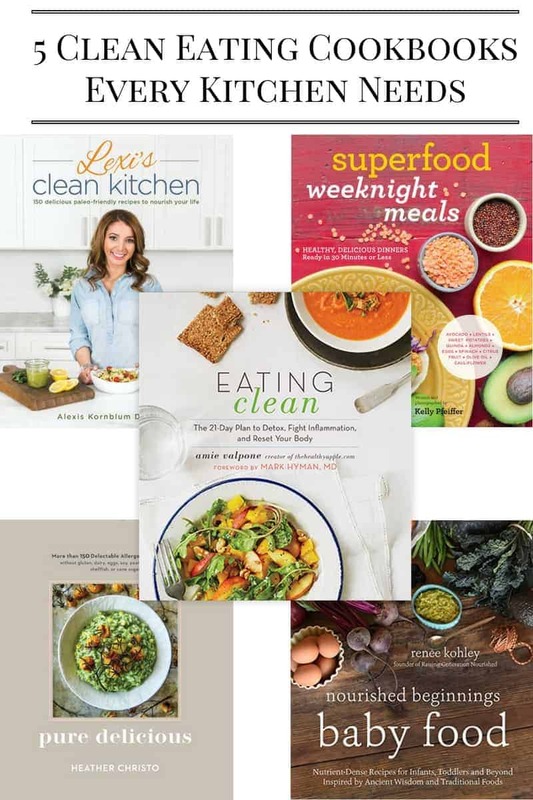 5 clean eating cookbooks you need in your kitchen this year. It’s admittedly easy to fall into some bad habits over the holiday season, between big celebratory meals and a never ending parade of cakes and cookies we can all get off track, so there’s no better time to get inspired to eat clean than the start of the New Year. 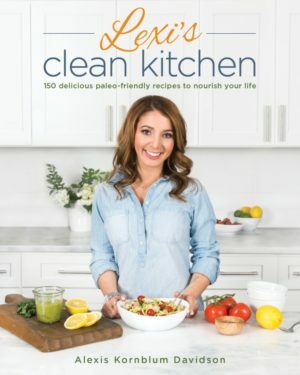 One of the best ways to make that happen is to arm yourself with recipes that make healthy eating easy and approachable and that’s just what these 5 clean eating cookbooks do. 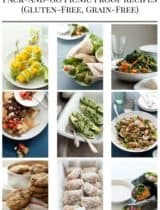 Filled with delicious, nutritious recipes that simplify mealtime you’ll find something for everyone (from baby to adult) and just about every dietary need (gluten-free, allergy-friendly, paleo, etc…). It’s all about eating a quality whole foods filled diet so you can be your best and healthiest self. 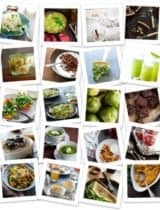 What It Is: An eating plan to fight inflammation, heal your gut, and generally reset your body on the path to better health. 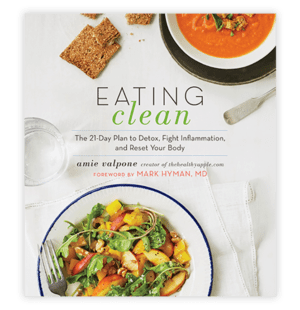 After years of struggling with debilitating health issues the author (Amie Valpone) healed herself with an anti-inflammatory diet rich in whole healing foods. Why You’ll Love It: If you’ve long suffered from chronic inflammation or are looking for an elimination diet to kick start your healing journey, this is the book for you. With over 200 recipes that are free of gluten, dairy, soy, corn, eggs and refined sugar, Amie makes the whole process easy and approachable. 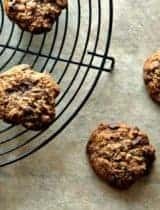 What It Is: A gluten-free and paleo-friendly cookbook filled with over 150 everyday recipes and re-invented old favorites like French toast sticks and some killer carrot cake bars. 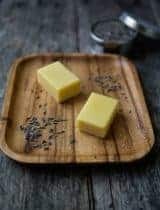 Why You’ll Love It: If you follow a Paleo diet (and even if you don’t) you’ll want to add this one to your collection. Lexi delivers page after page of family favorites (like burgers and meatballs) so you never have to feel like you’re missing out again. 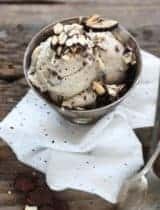 What It Is: An essential resource for anyone dealing with food allergies packed with 150 recipes made entirely without the 8 major food allergens: dairy, soy, nuts, peanuts, gluten, seafood, cane sugar, and eggs. 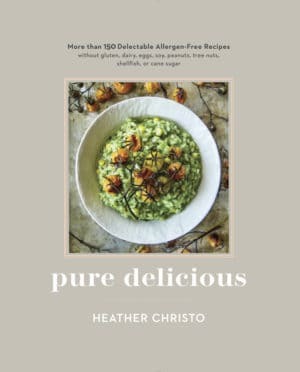 Why You’ll Love It: If you or members of your family suffer from multiple and/or different food allergies you’ll love this book. 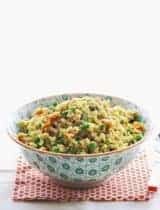 No more making multiple meals to cater to everyone’s needs; everyone can enjoy mealtime together again because all of Heather’s recipes are free from the 8 major allergy triggers. What It Is: A collection of nutrient-dense real foods for babies, toddlers and the entire family. With everything from simple purees for babies to more complete meals for toddlers, Renee has covered all the bases. Why You’ll Love It: If you’re a new parent and feeling overwhelmed (and who isn’t?) 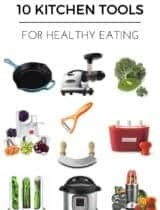 then this is the cookbook for you. 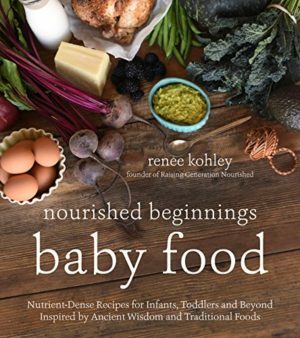 In it you’ll find answers on what to feed your growing family, along with a slew of easy and nutritious recipes to get your littlest ones off to a right start. No more processed “kid” food! 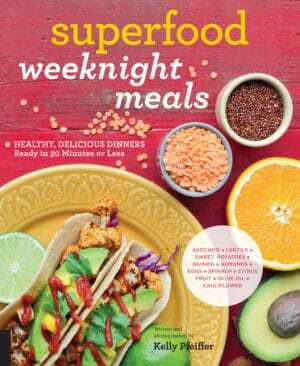 What It Is: Fast and healthy recipes for family weeknight cooking featuring 10 everyday “superfood” ingredients: avocado, lentils, almonds, sweet potatoes, quinoa, eggs, spinach, citrus fruit, olive oil, and cauliflower that are ready in 30 minutes or less. 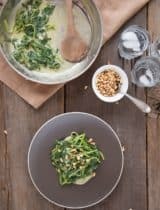 Why You’ll Love It: Each recipe features at least two “superfood” ingredients, so you can ensure your family is getting a wholesome dose of nutrition at every meal. Try replacing your morning glass of orange juice with Kelly’s souped–up “Super Orange Juice” made with oranges, carrots, sweet potatoes and bell peppers!